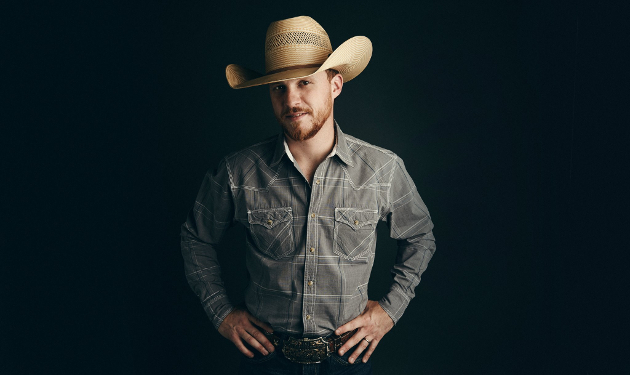 Texas country superstar turned major label artist Cody Johnson has just turned in some impressive, career numbers upon the release of his latest record Ain’t Nothin To It, and it’s put the Huntsville, TX native at the very top of multiple albums charts. The Cojo/Warner Music release moved 34,500 total units, including 23,000 copies in pure album sales, and a whopping 12 million songs streams to put Cody Johnson at #1 on the Billboard Country Albums chart this week. Not only that, the numbers are good enough to put him #1 on the all-genre Digital Album Sales chart, meaning no artist downloaded more cohesive albums last week than Cody Johnson. Johnson also comes in at #2 on the all-genre Album Sales Chart, which takes into account downloads and physical sales. And last but not least, Cody Johnson and Ain’t Nothin’ To It come in at #9 on the all-genre Billboard 200, which accounts for sales, streams, and downloads. This marks the very first #1 album for Cody Johnson in country, and his first Top 10 on the Billboard 200. His last record Gotta Be Me charted at #2 on the Billboard Country Albums chart, but only due to Blake Shelton putting his album If I’m Honest on sale for $0.99, undercutting Cody’s sales. Otherwise, this would be Cody Johnson’s 2nd #1 album. Cody’s also doing well on radio. His current single “On My Way To You” cracked the Top 20 this week. Cody Johnson started playing and singing country music when he was 12-years-old, and first formed the Cody Johnson Band with his father Carl. He worked as a corrections officer at a local prison while moonlighting as a performer until 2011 when he quit to pursue music full time. His 2014 album Cowboys Like Me saw surprising chart success for an independent artist, coming in at #7 on the Billboard Country Albums chart, and leading to more national awareness. Cody Johnson signed the deal to form Cojo Music/Warner Music Nashville in June of 2018. The deal meant Johnson was now part of one of the biggest label groups in country music, but still retained creative control under his long-standing, completely independent, and personally-owned record label Cojo Music. In the coming months, Cody Johnson assured his fans he would not change due to the deal, and Ain’t Nothin’ To It confirmed this promise. Especially compared to the majority of today’s mainstream country music, Cody Johnson is a country music traditionalist. And with his status as a co-owner in control of his own music, the success of Ain’t Nothin’ To It could have deeper implications for country music at large. After Blake Shelton had stolen the number one from him before…… still salty. But seriously I love Doubt Me Now reminds me of Chris Cagle at his prime..
Great news!! I have done some streaming of the album but yet to find the physical album but once I do, I will add it to my collection!! Happy for him!! Like you stated, hope this spawns more traditional country on the radio! You can order a copy from his website. I pre-ordered mine back in November. I may have to do that, as my local Walmart doesn’t have it in stock as of last week. “On My Way To You” is #22 (down one place but with a bullet) on the Billboard Country Airplay Charts (Source: Billboard Country Update 01/28). The Golden Guitars (as highlight of Australias biggest yearly live event the Toyota Tamworth Country Music Festival) are not as glamorous as the CMAs…but you can hear country music. A very pregnant Kristy Cox performed her award winning bluegrass track “Ricochet” live. The Roll of Renown is the most prestigious award in australian country muisc. After a 30 year+ colorful career James Blundell is the newest member of the Roll of Renown (it’s like becoming a member of the CMHOF). Back in 1988 he won his first Golden Guitar for Best New Talent of the Year. He had a short career in Nashville too (Album: Hand It Down – Capitol Nashville – 1991). Troy Cassar-Daley won his 37th Golden Guitar. Together with Lee Kernaghan he is only one award behind the unforgettable Slim Dusty. Beccy Cole won Female Artist of the Year for a 5th time (11 Golden Guitars overall). “Day Drunk” (Morgan Evans) was the first country single for more than a decade to lead the all-genre charts in Australia & is still a Top 20 hit after 30+ weeks. A very emotional moment was when Bennett, Bowtell & Urquhart performed “Every Hello” as a tribute for the late Karl Brodie. Don’t you have maybe a web site you could link to for all this, OlaR? His music doesn’t grab me. It’s too soft. There is a 1990s country vibe running through it, though. And I’ll take it any day over FGL, Kane Brown or Luke Bryan. “On My Way To You” is new on #37 in Australia (Country Songs Top 40 Australian Airplay Chart). The only american artist in the Top 40. My OCD can’t handle him having short hair and covering CDB.